Designed specifically for vehicle and train use, ACTIA's BOP CCTV systems are tailored to the onboard security requirements of the vehicle operator: to protect the vehicle, protect the driver, and protect the passengers. For over 20 years Actia Videobus have been providing audio-video solutions for onboard use. 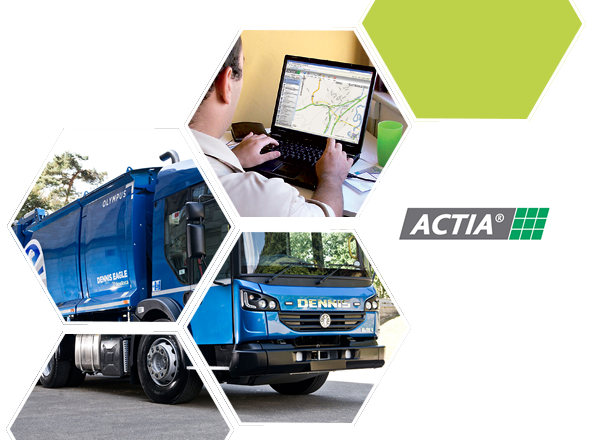 Quality, innovation and design are the most important factors of ACTIA multimedia systems, whether you are retrofitting equipment to an older vehicle or are specifying a new vehicle. ACTIA designs the electrical and electronic architecture as well as developing and manufacturing the associated components. In addition, we provide complete dashboard systems, instrumentation and switchpanels, building a complete control systems package for commercial vehicle manufacturers. One of the key benefits of ACTIA multiplexing systems is the ability to add functions without adding new hardware or decreasing reliability. Common sensor and control data, such as vehicle speed, engine temperature, etc. are available on the network, so data can be shared, thus eliminating the need for redundant sensors. We are proud to be the diagnostic supplier of choice for the major car, truck, bus & motorcycle manufacturers worldwide. There are currently over 80,000 examples of our diagnostic products in use around the world.